This chapter is focused on the estimation of wind farm power fluctuations from the behaviour of a single turbine during continuous operation (special events such as turbine tripping, grid transients, sudden voltages changes, etc. are not considered). The time scope ranges from seconds to some minutes and the geographic scope is bounded to one or a few nearby wind farms. One of the objectives of this chapter is to explain quantitatively the wind power variability in a farm from the behaviour of a single turbine. For short intervals and inside a wind farm, the model is based on the experience with a logger system designed and installed in four wind farms (Sanz et al., 2000a), the classic theory of Gaussian (normal) stochastic processes, the wind coherence model (Schlez & Infield, 1998), and the general coherence function derived by Ris0 Institute in Horns Rev wind farm (Martins et al., 2006; S0rensen et al., 2008a). For larger distances and slower variations, the model has been tested with meteorological data from the weather network. The complexities inherent to stochastic processes are partially circumvented presenting some case studies with meaningful graphs and using classical tools of signal processing and time series analysis when possible. The sum of the power from many turbines is a stochastic process that is the outcome of many interactions from different sources. The sum of the power variations from more than four turbines converges approximately to a Gaussian process despite of the process nature (deterministic, stochastic, broadband or narrowband), analogously to the martingale central limit theorem (Hall & Heyde, 1980). The only required condition is the negligible effect of synchronization forces among turbine oscillations. The data logged at some wind farms are smooth and they have good mathematical properties except during special events such as turbine breaker trips or severe weather. This chapter will show that, under some circumstances, the power output of a wind farm can be approximated to a Gaussian process and its auto spectrum density can be estimated from the spectrum of a turbine, wind farm dimensions and wind coherence. The wind farm power variability is fully characterized by its auto spectrum provided the Gaussian approximation is accurate enough. Many interesting properties such as the mean power fluctuation shape during a period, the distribution of power variation in a time period, the more extreme power variation expected during a short period, etc. can be estimated applying the outstanding properties of Gaussian processes according to (Bierbooms, 2008) and (Mur-Amada, 2009). Since the canonical representation of a Gaussian stochastic process is its frequency spectrum (Karhunen-Loeve theorem), the analysis of wind power fluctuations is usually done in the frequency domain for convenience. An alternative to Fourier analysis is time series analysis. Time series are quite popular in stochastic models since they are well suited to prediction and their parameters and their properties can be easily estimated (Wangdee & Billinton, 2006). Even though the two mathematical techniques are quite related, the study of periodic behaviour is more direct through Fourier approach whereas the time series approach is more appropriate for the study of non-systematic behaviour. The fluctuations observed at the output of a turbine are the outcome of the interaction of wind turbulence with the complex turbine dynamics. For very slow fluctuations (corresponding to lower frequencies in the spectrum), the turbine regulation achieves its target and the turbine dynamics are negligible. Faster fluctuations (corresponding to higher frequencies) interact with the structural and drive-train vibrations. The complexity of the mechanical vibrations, the turbine control and the non-linearity of the generator power electronics interactions affects notably the generator electromagnetic torque and the turbine power fluctuations, especially in the frequency range from tenths of Hertzs to grid frequency. 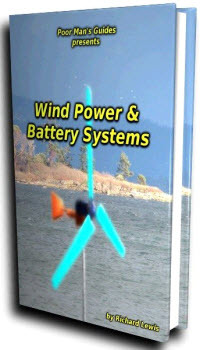 • Between cut-in and rated wind speeds, the turbine power usually behaves (with respect to the wind measured with an anemometer) as a low frequency first-order filter with a time constant between 1 and 10 s.
• Between rated and cut-out wind speeds, the turbine power usually behaves (with respect to the measured wind) as an asymmetric band pass filter of characteristic frequency around 0,3 Hz due to the combined effect of the slow action of the pitch/active stall and the quicker speed controllers. • At some characteristic frequencies, the turbine mechanical vibrations, the power electronics and the generator dynamics modify the general trend of the power output spectrum with respect to the wind input. 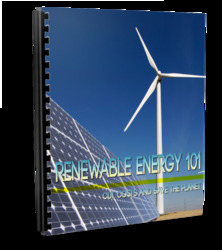 There are many specific characteristics that impact notably the power fluctuations and their realistic reproduction requires a comprehensive model of each turbine. The details of the control, the structural details and the power electronics implemented in the turbines are proprietary and they are not publicity available. In contrast, the electrical power injected by a turbine can be measured easily. Moreover, some fluctuations in power are not proportional to the fluctuations in wind or aerodynamic torque. Thus, the ratio of the output signal divided by the input signal in the frequency domain is not constant. However, a statistical linear model in the frequency can be used (Welfonder et al., 1997) although the system output is neither proportional to the input nor deterministic. The approach taken in this chapter is primarily phenomenological: the power fluctuations during the continuous operation of the turbines are measured and characterized for timescales in the range of minutes to fractions of seconds. Thus, one contribution of this chapter is the experimental characterization of the power fluctuations of three commercial turbines. Some experimental measurements in the joint time-frequency domain are presented to test the mathematical model of the fluctuations and the variability of PSD is studied through spectrograms. Other contribution of this chapter is the admittance of the wind farm: the oscillations from a wind farm are compared to the fluctuations from a single turbine, representative of the operation of the turbines in the farm. The partial cancellation of power fluctuations in a wind farm is estimated from the ratio of the farm fluctuation relative to the fluctuation of one representative turbine. Some stochastic models are derived in the frequency domain to link the overall behaviour of a large number of wind turbines from the operation of a single turbine. This chapter is based mostly on the experience obtained designing, programming, assembling and analyzing two multipurpose measuring system installed in several wind farms (Sanz et at., 2000a; Mur-Amada, 2009). This measuring system has been the first prototype of a multipurpose data logger, now called AIRE (Analizador Integral de Recursos Energéticos), that is currently commercialized by Inycom and CIRCE Foundation. Power output fluctuations can be divided into almost cyclic components (tower shadow, wind shear, modal vibrations, etc. ), wind farm weather dynamics (turbulence, boundary layer atmospheric stability, micrometeorological dynamics, etc.) and events (connection or disconnection of the turbine, change in generator configuration, etc.). The customary treatment of these fluctuations is done through Fourier transform. Cyclic fluctuations due to tower shadow, wind shear, etc. present more systematic behaviour than weather related variations. 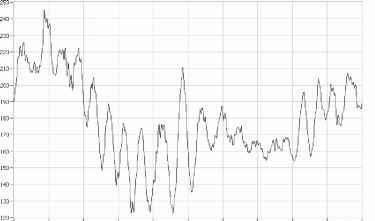 Almost cyclic fluctuations are approximately periodic and they present quite definite frequencies. In this context, almost periodic means that the signal can be decomposed into a set of sinusoidal components with slow varying amplitudes (some of them non-harmonically related) and stationary noise (i.e., polycyclostationary signals). The frequencies in the signal vary slightly since the fluctuation amplitudes are not constant and the signal is not periodic in the conventional sense. Fig. 1. Active power of a 750 kW wind turbine for wind speeds around 6,7 m/s during 20 s.
Cyclic variations are usually characterized with their Fourier transforms (Gardner, 1994). Moreover, turbulence is also characterized through its auto spectral density, which is basically the Fourier transform of its autocorrelation. Periodic fluctuations appear as narrow peaks at their harmonic frequencies in the spectrum, whereas random fluctuations (which have neither a periodic pattern nor a characteristic frequency) can be associated with the tendency of the smoothed spectrum. Thus, the magnitude and frequency of the cyclic fluctuations can be characterized for each turbine model and wind regime (Mur-Amada, 2009). Weather evolution is the outcome of slow and complex atmospheric processes. Since weather evolution has a strong non-linear behaviour, it will not be considered in this chapter. Many fluctuations in the power output are strongly related to wind fluctuations, especially at low frequencies (slow fluctuations). The wind spectrum is a common way to characterize the frequency content of the turbulence present in the wind as it flows around an anemometer. The wind is usually measured in a fixed point, but the wind varies along a wind farm, not only due to the obstacles and orography, but also due to the turbulent nature of wind. Taylor's hypothesis of frozen turbulence is a simple model that relates spatial and temporal variations of the wind. This hypothesis can be used to reconstruct the approximate spatial structure of wind from measurements with an anemometer fixed at a point in space. In fact, wind irregularities experienced by a turbine are also perceived by the next turbines (usually with diverse magnitude and with some time delay). The area of influence of the turbulence is related to the value of wind speed deviations (Cushman-Roisin, 2007). Higher wind fluctuations usually imply larger spatial extent. Therefore, wind fluctuations are usually experienced in close turbines with some time lag/lead At' In Taylor's Hypothesis of "frozen turbulence", the gust travel time in the wind direction At' is the distance in longitudinal direction divided by the wind speed (see Fig. 2). The wind measured at the tower of Fig. 2 varies in 10 s due to a perturbation 100 m long travelling at the wind speed.